I love his camera work, his special effects, his at times cheeseball scripts. I love his catchy, repetitive, heavily synthesized musical scores. 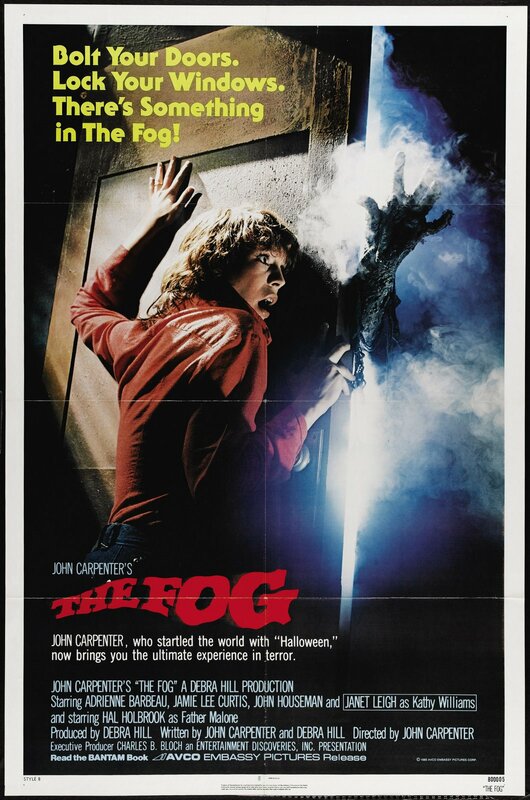 Today, I share with you my love of John Carpenter, with my favorite movies and moments. 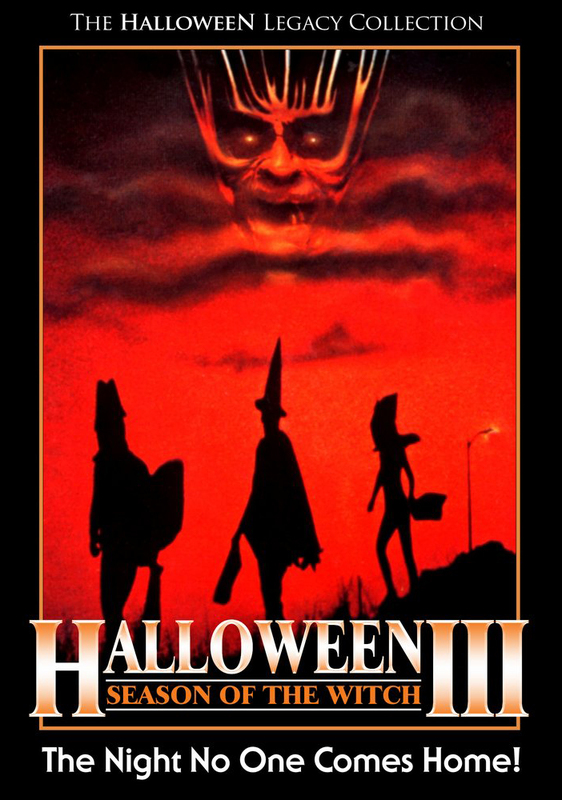 Less appreciated, however, is Halloween III: Season of the Witch. 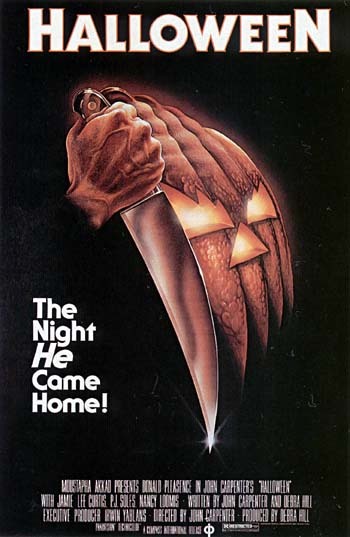 Despite its title and its place as the third “Halloween” film, it is not about Michael Myers at all. Instead, Halloween III follows The Silver Shamrock company’s maniacal plan to liquify human brains by turning them into bugs by virtue of their very popular halloween masks and a really creepy commercial. This film gets a lot of crap, but I’m not sure why. You’ve got a druid stone, centipede-brains, androids, a catchy theme song…what’s not to love? This remains one of my favorite Carpenter films. 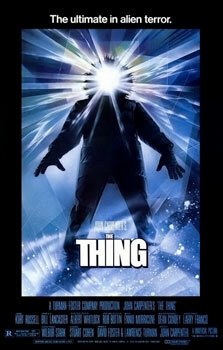 Carpenter’s remake of the 1951 original, his version of The Thing is – I’m going to go out and say it – one of if not the finest Science Fiction Horror films EVER. Period. This marks another collaboration between Kurt Russell and John Carpenter (an awesome director-actor team if I’ve ever seen one), and he does a brilliant job as R.J. MacReady. Just look at that sweet beard and mane of hair. Seriously, this story about trapped scientists in Antarctica, terrorized by a shapechanging alien is classic. John Carpenter’s sticky, slithery version of special effects rule. Not to mention, the score for the film was composed by the one and only Ennio Morricone. And here’s one of my favorite scenes. The original, before that teen movie remake crap came out a few years ago. The Fog is, well, about fog. Not just any fog though – it’s a strange mist that brings with it a legion of zombie-like murderous monsters in its wake. It’s a ghostly revenge story, and best of all, it’s a true Sailor’s Story. We don’t have enough of those these days. Be still, my heart! 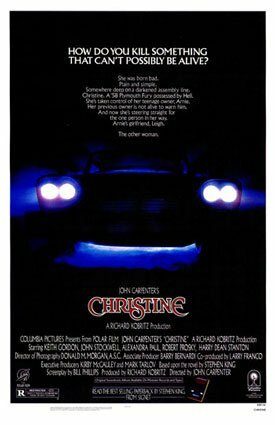 John Carpenter takes on Stephen King with Christine, the story about a jealous, possessive car that claims a stake on her owner, Arnie. Sweet car, sweet soundtrack – it’s the perfect obsessive love story gone awry. Just check out what happens to poor Moochie. Probably the flat-out weirdest of Carpenter’s movies, I actually really love this surreal, sci-fi infused horror story about the coming apocalypse. There’s talk of tachyons and particle physics, as well as the antichrist, creepy zombie/possessed people, Alice Cooper as a homeless dude, and a green canister that makes you think of Teenage Mutant Ninja Turtles II: The Secret of the Ooze (or maybe that’s just me). Plus, Victor Wong is in it. TALKING PHYSICS. Win. 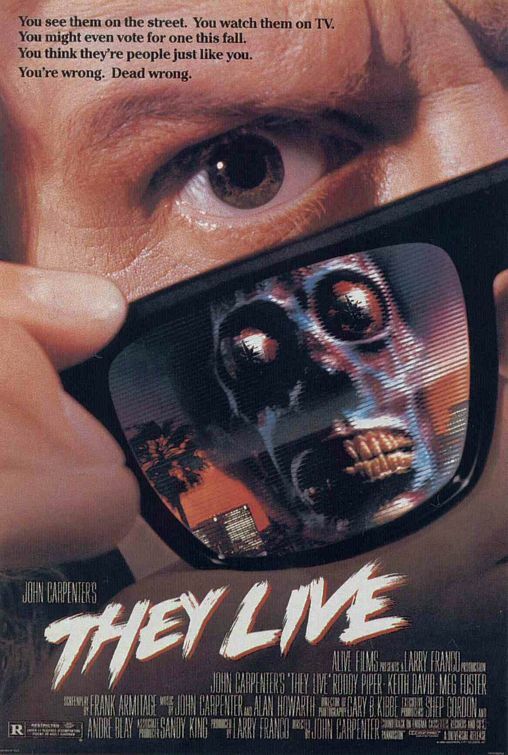 So the premise sounds pretty strange – a dude finds some sunglasses, and through them he can see that aliens have taken over the planet and forced us to submit to them (as they herd us sheep). And we humans are completely unconscious to this fact. This is a highly underrated cult classic film – satirical and horrific. 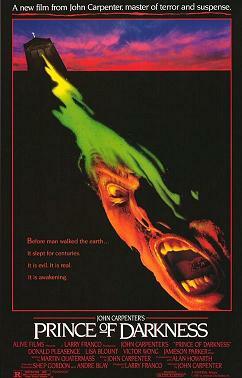 This film rounds out Carpenter’s “Apocalypse” series (along with Prince of Darkness and The Thing). 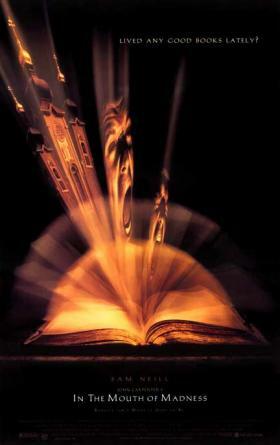 In the Mouth of Madness stars Sam Neill as a private investigator who is contracted by a publisher to find the whereabouts of popular horror novelist Sutter Cane. As he goes to Cane’s hometown to find the author, he stumbles instead into a nightmare of Cane’s creation. Cane needs Trent (Neill’s character) for a job – to bring his final manuscript to the world…thereby unleashing the monstrosities of another dimension on the planet. You know, Lovecraft style. Another remake by Carpenter, and this one stars the late Christopher Reeve. One day, everyone in a small town passes out – and women all over the town wake up…pregnant. They give birth to strange babies with white hair and glowing eyes, who grow up able to read minds and make people do terrible things. Devil children, in other words. In penny loafers. And that’s my list of Carpenter horror faves! Of course, there’s also Escape from New York (1981) and Big Trouble in Little China (1986) that have made it on my dvd shelf too – but those don’t really fit in Halloween Week. How about you folks? Any Carpenter faves/scenes/moments you’d like to share? Orannia – Awww, you should at least give Halloween a try! No? That’s ok, I can understand 🙂 If you ever feel the urge though, you could give one of these a try! 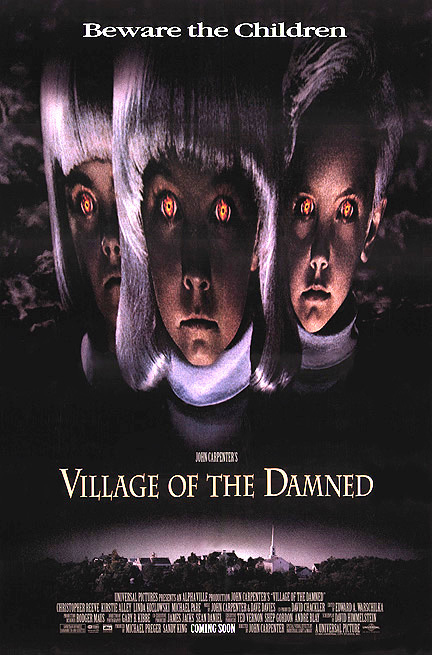 I have watched most of these naturally, but I was quite taken with Village of the Damned, which I saw at a tender age and it scared the crap out of me. I watched The Thing a few months back and was grossed out immensely, by the thing. And I also do remember watching Halloween III wondering where the heck did that snake come out from under the kid’s head?? It was a gross WTF moment, plus I never got how a TV commercial can turn your head into a bug colony, but it was enjoyable. I loved In the Mouth of Madness and The Thing (it’s probably one of best U.S. remakes of all time). I’d argue that Escape from New York should be on the list. It’s dystopian, for goodness sake! 😀 Not only Snake’s life is on the line, he has to deal with crazy inmates in a place where no one could get out alive. Or not supposed to, anyway. Halloween series – I could never get into those films and I don’t know why. The Fog was highly enjoyable. It’s an awesome tribute to the classic supernatural genre. The remake is damn awful, though. I actually liked Ghosts of Mars. It’s a pure B-movie, but I liked it because of Henstridge’s character, the concept, the imagination, some scenes and sod it, the sheer B-movie feel to it. Vampires (or Vampire$) is a disappointment, though. Hang on, what am I saying? Let’s face it, it’s utterly shite. Other JC films I liked that wouldn’t fit in your Halloween list: The Philadelphia Experiment, Assault on Precinct 13 (the original) and perhaps, Starman. Nice selection, not sure about “Village of the Damned”, which despite featuring original “Superman” Christopher Reeve and my “not quite teen anymore” crush Meredith Salenger, never really managed to capture me. I guess I’m just too enamoured with the original, here. “The Thing” didn’t really work for me either, I always happen to think that Carpenter worked best the fewer money he had available. I love Donald Pleasance in that movie, I don’t think it would have been the same without him. Also Dr. Loomis ride the to the Hospital where they find that Myers had escaped, such fun dialogue in those scenes. Well, let me just point out then that I’ve grown to appreciate “Halloween III” for taking the old “Too much TV will turn your brain to mush” line in the most literal sense. Halloween III is rough. That said, it has one of the best endings ever. Hell. YES. I completely agree with you. It’s a rare feat when remakes surpass the original, but The Thing is damn near flawless. And finally, another In the Mouth of Madness fan!!!!! *throws up a high five* I am almost scared to admit sometimes that I love Halloween III and MoM, since they’re so sneered upon. And as for Vampires….blech. No. Just…no. As much as I like James Woods, that film didn’t do anything for me. Maybe because I saw it when I was older? I don’t know. And oh man, I totally forgot about Starman! That’s the love story one with The Dude (aka Jeff Bridges)? Awesome. Jeff – There’s no stopping the flashing pumpkin, man! About The Thing I kept seeing that head monster pop all over the web, so I decided to watch it. It was a good movie.